Now out. 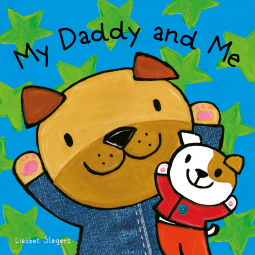 My Daddy and Me (Slegers) – Joyce's mystery and fiction book reviews with some non-fiction too! A variety of fathers and their children enjoy activities together in this simple story with bright, colorful and likeable illustrations. Whether it is working together, playing together or getting ready for bed, life is fun for parents and children when they spend time together. This is a nice read for a child and a dad to enjoy together. Thanks to NetGalley and the publisher for this appealing picture book. Since I read an e-galley, I missed out on lifting the flaps but you won’t have to!